The thing about photos is that they can really bother you! In fact, such annoying photos are not a rarity at all! Different objects or activities can bother you, and for obvious reasons, too! However, these photos are actually amusing to see in most cases! Some of them are ridiculous or weird, but this is what makes them interesting! 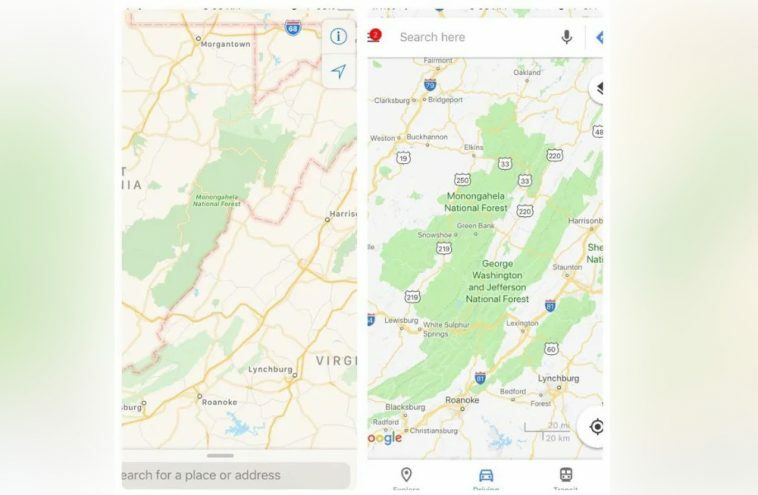 The huge difference in these two maps is only an illustration of how annoying things can be! You can see such images in the list below. Enjoy them! Food is a sacred thing and we guess that it can easily lead to disappointment if something about it is not right. This is especially true if you are extremely hungry and you see something you consider to be the perfect meal. 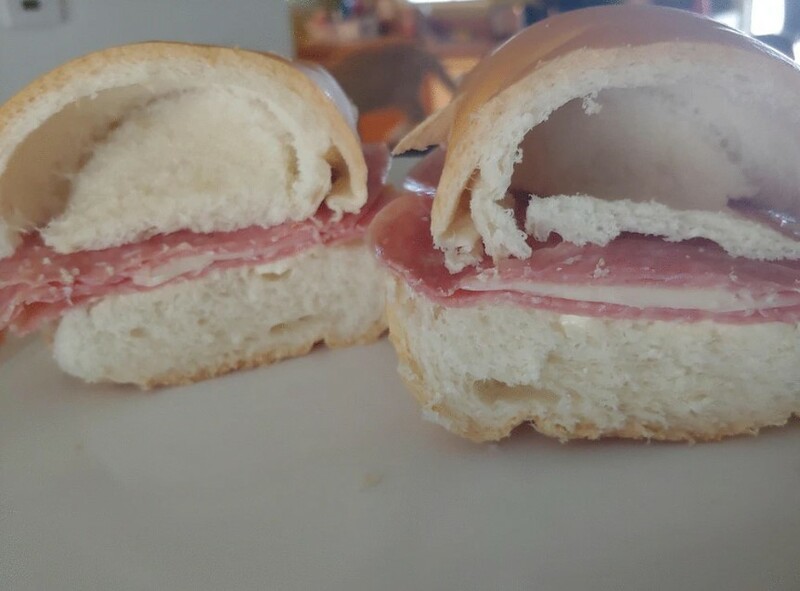 As the photo suggests, someone probably thought that this thing was the perfect sandwich! However, after slicing it in two, the awful truth was revealed! The bun turned out to be made mostly out of air! Cleaning is probably one the most boring activities ever. Sometimes the mess that needs to be cleaned is more than annoying! As you can see, this one is absolutely disgusting! 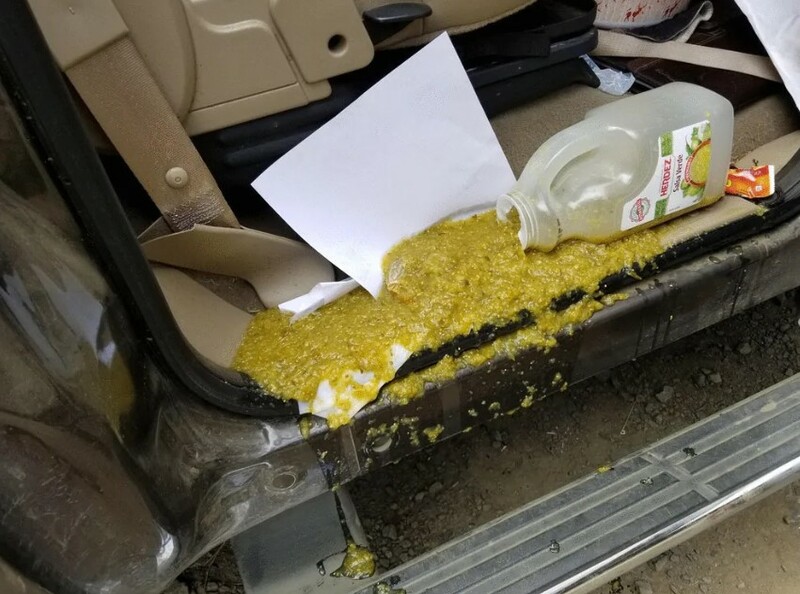 We have no idea what this stuff is, but it looks like vomit. We hope it is something else, though. The person that eventually had to clean this off was probably not thrilled about it! Let’s hope that the SUV was cleaned to perfection. A lot of people get really cranky when they are hungry. We guess that it is normal, because you can’t really focus on anything when you crave food. Of course, when you feel that hungry, the best thing for you would be to immediately have a huge and tasty meal! However, sometimes your eyes may deceive you! 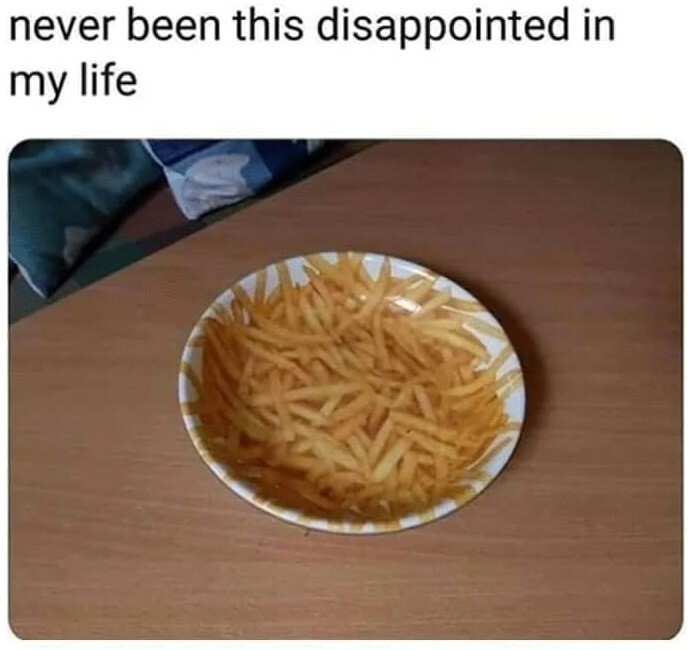 The dish you see here can really frustrate you when you are hungry, because it looks like it is full of pasta. A lot of companies use all kinds of tactics to attract more customers. This is the reason why there are a lot of marketers working for these corporations. However, it seems that there is always margin for error! People can give their best and still fail to achieve their initial goal. 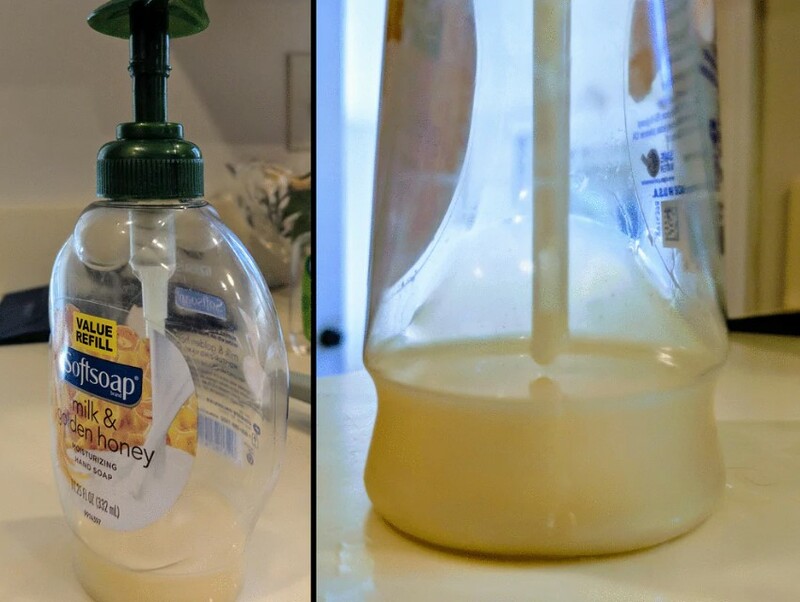 This company probably wanted to offer a good deal to its customers with this value bottle. Of course, they should have tested the final product before launching it on the market. As you can see, the value bottle was not a good idea and it is kind of annoying, too. Some of the most responsible jobs in the world are definitely related to construction. Everything about the creating of a structure must be flawless and double-checked. The problem is that sometimes people are unable to see a mistake until it is done. This was probably the case with these lights! Yes, it may not be a huge deal, but it does not need to be unsafe in order to be annoying as well! 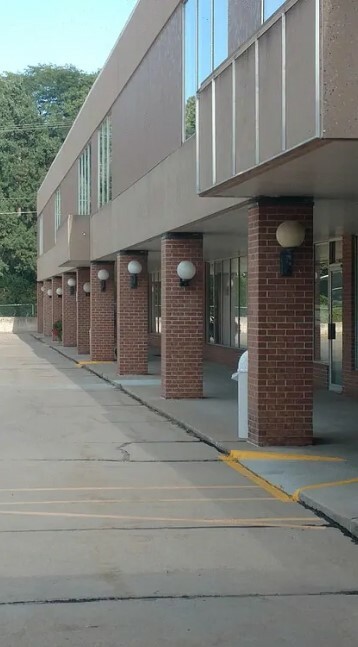 The way these lights are mounted is definitely not the correct way to do such a job. People often think that simple tasks are easy, but they are actually not! Getting an easy job done may seem easy and that is the deceiving part. People tend to take their time with the task and do not put much effort in it. This is a problem because they can do a sloppy job! 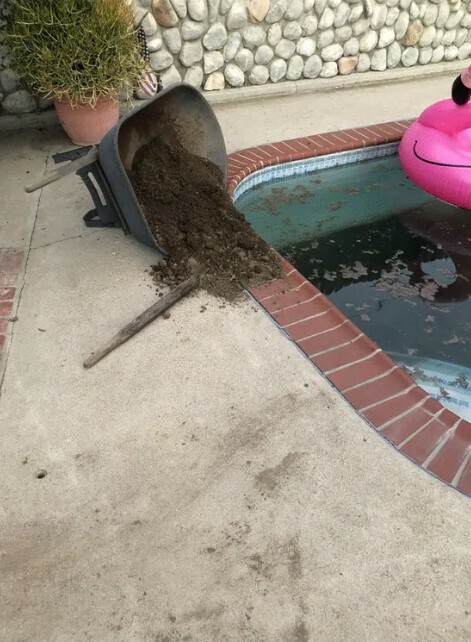 As the photo suggests, someone really thought that cleaning a pile of dirt was a piece of cake. 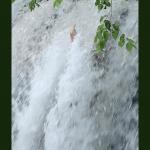 It turned out that it needed as much attention as any other task! We bet that the person responsible for this was more than annoyed. If you are anything like us, chances are that you love sweets! People with a sweet tooth cannot get enough of chocolate, wafers and candy bars, which is understandable. However, there is a kind of bars that may be tasty but they are really annoying as well! We are talking about the different oat bars on the market! 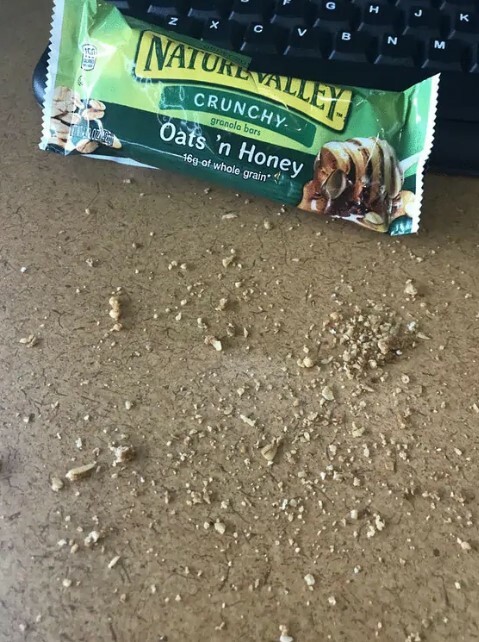 When you take even one bite of such a bar, everything below get literally covered with crumbs! You need to clean after eating just one bar! We believe that the majority of people despises flip-flops, and for a good reason, too! 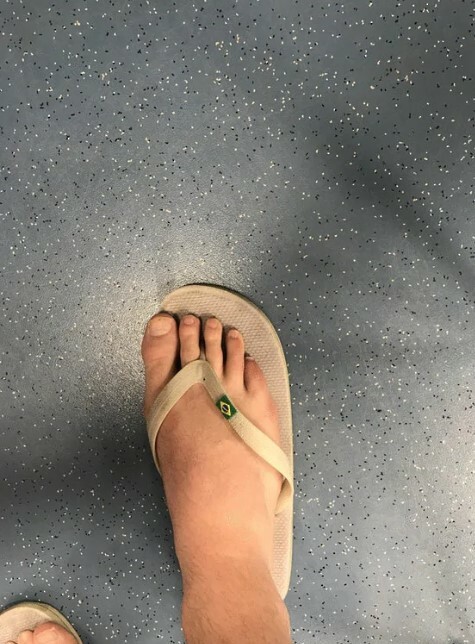 The fact that you can wear proper shoes is more than enough to convince you to stop wearing flip-flops! We guess that the people wearing these are very happy to have them because they really do bring a sense of freedom. They could even bring you that beach vibe you have been craving for! However, the make the most annoying noise while walking, and this is more than enough of a reason to stop wearing them. When you go out to eat, you are basically about to treat yourself. You want to experience good food, nice atmosphere and great service when you visit a restaurant. If one of these things is not the way it should be, then you are likely going to be disappointed. As you can see here, one restaurant really failed to respond to a simple customer request. 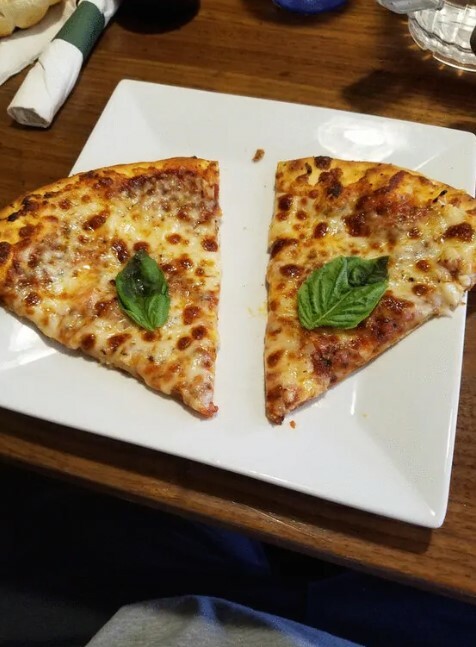 These pizzas were supposed to be covered with extra basil, but the kitchen staff decided to decorate the slices with only one leaf! In today’s world plastic is sadly the king! You can find it literally everywhere. Of course, the idea for its use was to make our lives easier. 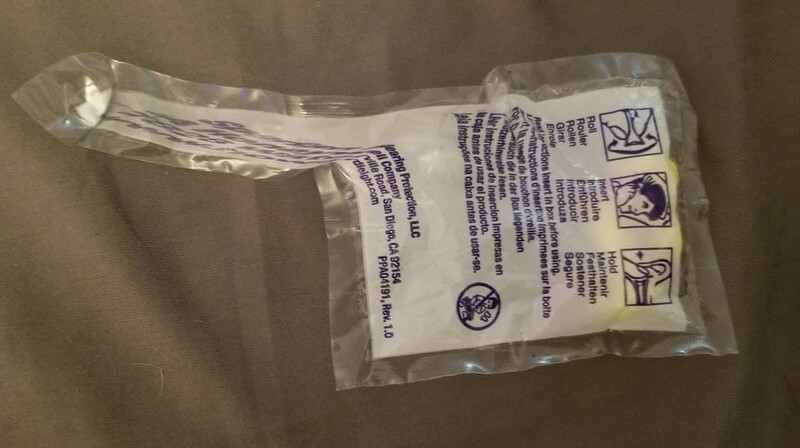 However, there is one side to plastic packages that everyone has seen, and it is annoying! Some packages are extremely hard to open, no matter how hard you try! No matter if they are from nylon or hard plastic, they can still be a challenge. As much as we enjoy summer, we need to admit that we enjoy even more the things that are related to it! The main on is definitely ice cream. During the summer period we eat huge amounts of the treat, but there is something that always bothered us. If you prefer ice cream in a wafer cone, you would definitely relate. 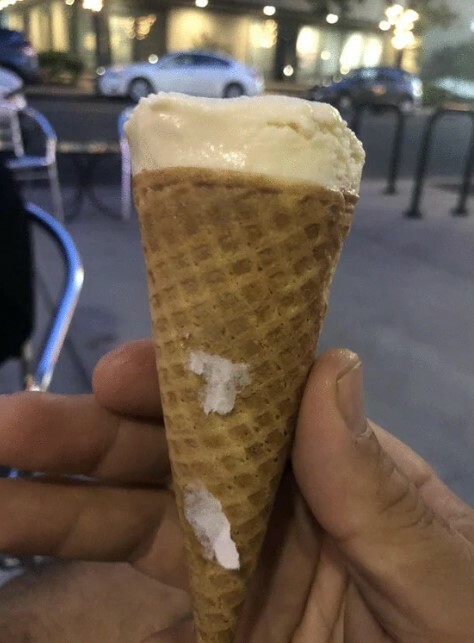 Almost every time you peel off the paper wrapper, some of the paper and the glue used to hold it together remain stuck on the cone! We have seen similar cases before, but this one must be weirdest of all! We get that this courier wanted to hide the package so nobody could steal it. However, good intentions were not enough and as you can see, the package is not hidden well! 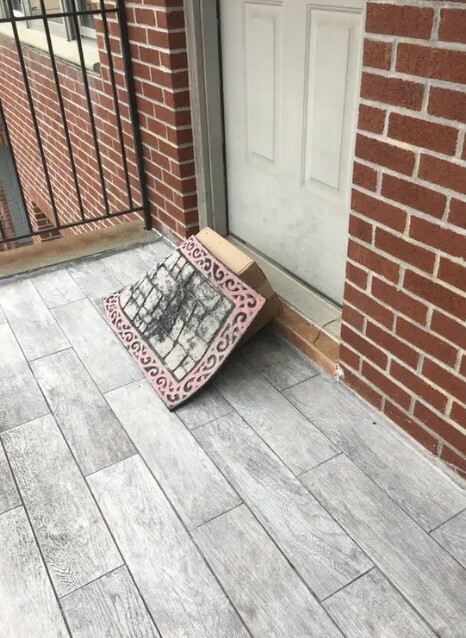 The annoying part is that this person should have just left the package on the mat instead of doing this. Nobody would be fooled by such a setup! We need to say that no matter what you are forced to do in order to keep your pet, it will be worth it, because you get to have another family member and a friend! Of course, this means that you will experience a lot of annoying moments for sure! Cleaning a huge mess every once in a while is definitely one of them. The example shown above is the best way to illustrate what we mean. 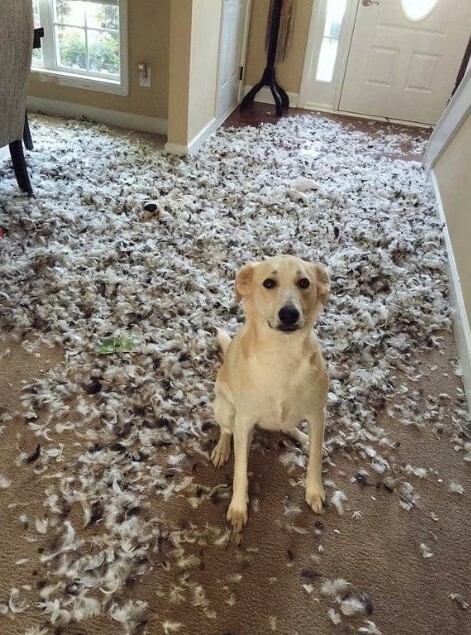 However, one look of the cute dog’s guilty face is enough to make you forget the mess! We guess that this photo would be extremely annoying for all the perfectionists out there! 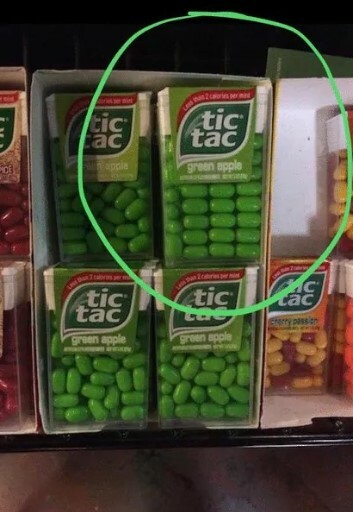 Seeing this Tic Tac container among the others is really interesting. It seems that someone arranged all the candies perfectly, but it did not happen this way, of course. We wish that all of them were aligned in this way, but as you can see, this is not possible. This photo is a nice example of why people have the habit to check if there is any toilet paper left on the roll before doing what they need to do in the toilet. Most of us have experienced the horror of finding out that there was no paper left when it was already too late! However, finding that you have a bit of paper which was extremely thin is just as annoying! In case you need an advice about how to avoid these situations, we are here for you! 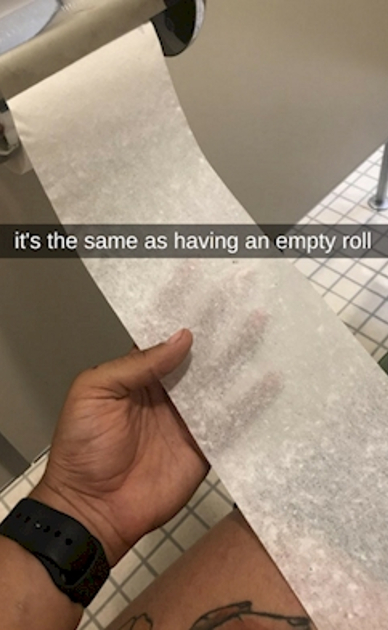 All you need to do is just keep a couple of extra rolls in the bathroom.